Today marked the first battle in our war against the Soda Pop Army. First off, I would like to introduce the server of Cream Soda to the Global Defender empire. 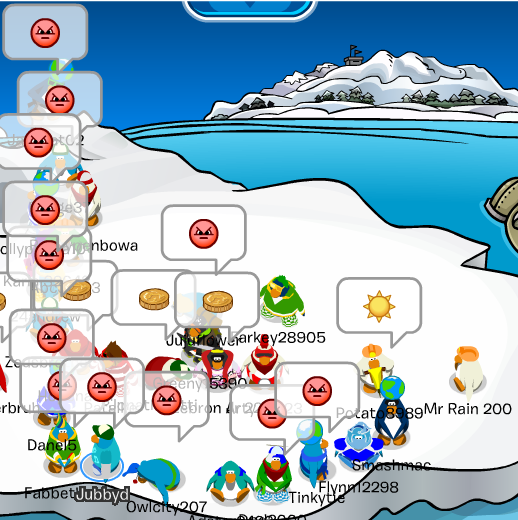 On Club Penguin, we maxed 18 and averaged 15. Great Job, Global Defenders! Lets keep up this great work. Read more for some, amazing, victory pictures. I was there! May the Holy Pear accept this server under his Global Empire and cleanse it of its pagan ways! We are pleased. Unfortunately, we were unable to attend, but would like to attend future events. Well done.